You don’t need to be an expert with technology to use Event Espresso. If you are comfortable with creating a blog post on your existing WordPress website and browsing your WordPress dashboard (WP-admin), then you’ll find Event Espresso familiar. We also have a quick start guide for Event Espresso which will help you get up and running fast through a series of recommendations and short video tutorials. Yes, a WordPress website is required to run Event Espresso. However, our sister company, Event Smart offers online event registrations for conferences using Event Espresso and WordPress as the backbone, where events, calendars, and pricing option selectors can then be embedded on any website, such as Weebly, Wix, and WordPress.com websites. I want to allow more than one attendee to register for my conference at a time. Are group registrations available? My conference has different registration fees depending on the type of guest. Can I offer multiple pricing options for my attendees to choose from? Yes! 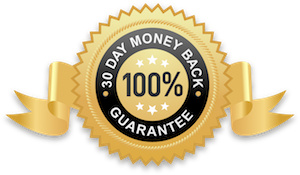 This can be done by using the multiple dates times and pricing options feature. We have a video tutorial for you here on how to create a conference with different registration options. My conference has sub-events or sessions/workshops with their own limits and fees. Can attendees register for the sessions? Yes, your attendees can register for sessions during their main registration. This works best if you have a limited number of sessions/workshops. Here is a video tutorial on how to create a conference with different sub-events or sessions/workshops. My conference has different tracks. Can I create those so an attendee can register for the one that they are interested in? Yes, you can use the multiple date times and pricing option feature to create those tracks. Here is a video tutorial on how to do create a conference with different tracks. Can registrants/attendees upload files during their registration? 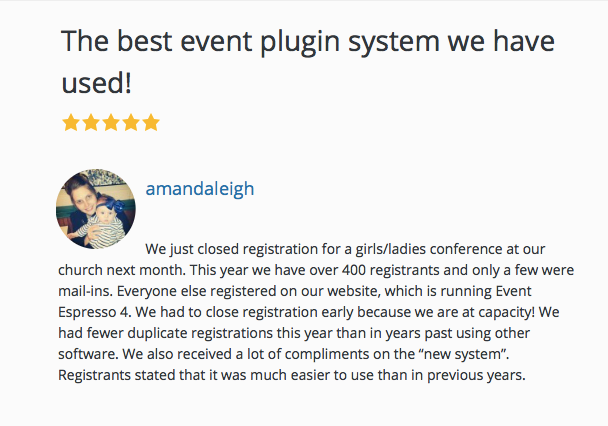 Allowing attendees to upload files during their registrations is available with a third-party plugin for Event Espresso from the WordPress plugins directory. Can I send attendees tickets after their registration? Yes, ticketing is available with our Printable Tickets extension. Once the add-on is running on your WordPress website, then a guest will automatically receive a ticket after a successful registration. Tickets can be scanned using a mobile phone so you can check-in attendees to your conference. Yes, you can run a Registration CSV report and then copy the information into a service like ConferenceBadge.com to create name badges. Here is a tutorial on how to create name badges for attendees in Event Espresso. How will I receive payments from my attendees that register for my conference? You’ll receive your funds as your attendees register for your conference by partnering with a secure payment service and adding your API credentials to Event Espresso. Some of our member favorites are Stripe, Authorize.net, Braintree, or PayPal. Or you can choose another supported payment service. Start a conversation with us so we can help you move forward with your conference today.